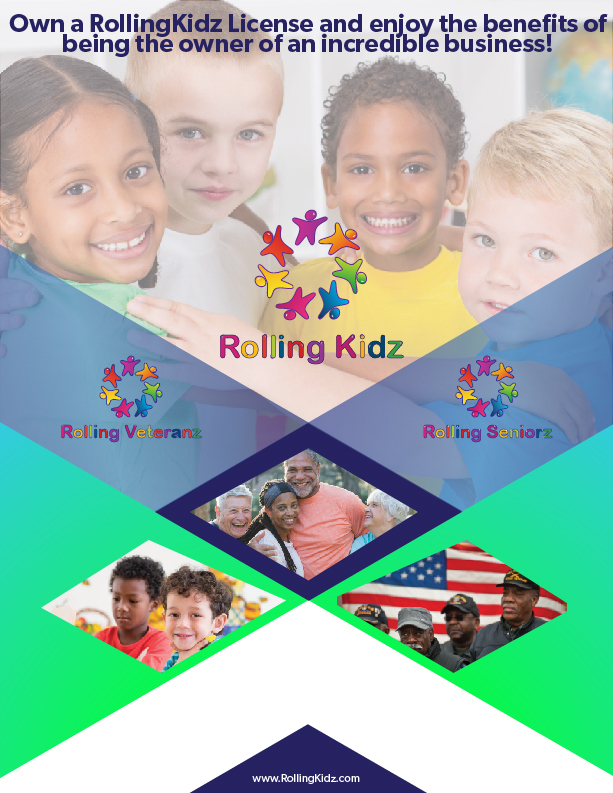 You can own a Rollng Kidz license to operate your own Rolling Kidz, Rolling Seniorz, and Rolling Veteranz business within a protected area within any State in the United States. Click the image to the left or the button below to download a pdf of our Licensing Agreement and then CONTACT US anytime to discuss getting started. Your inquiry is appreciated and welcomed. Click here to download a copy of our licensing agreement.